Garage, psych and acid-folk gems from the land of maple leaf… On the back of our Guess Who feature in issue #84 CAMILLA AISA picks her faves. Enjoy. After a few heavily Anglophilic efforts, in the Summer of 1966 The Guess Who welcomed their third LP It’s Time and finally found their sound… as well as their iconic voice. Burton Cummings had joined the band a few months before and started sharing vocal duties with singer and founding member Chad Allan. One of the earliest Cummings-fronted gems, ‘Clock On The Wall’ was written by guitarist Randy Bachman and released in May as a single. 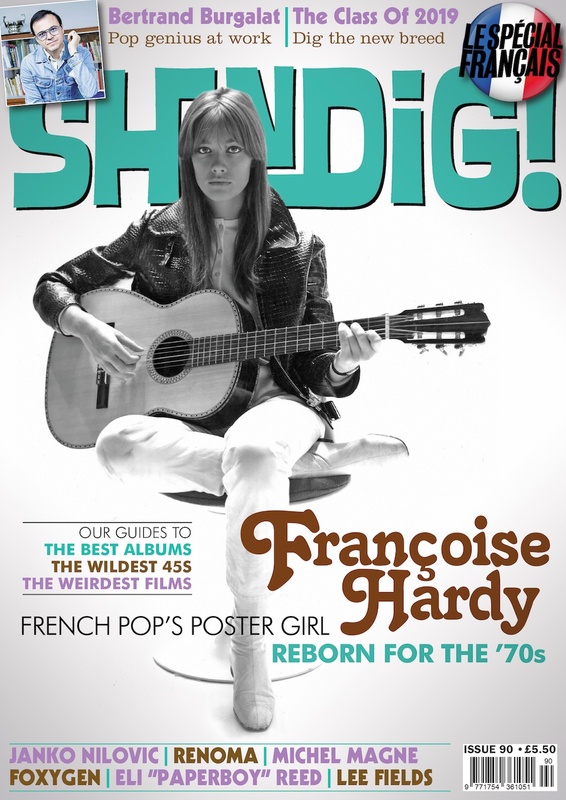 “Burton had this wonderful voice where he could sing’Danny Boy’ and make you cry, but he could also sing ‘House Of The Rising Sun’ and scream like Eric Burdon”, Bachman tells Sean Egan in the latest issue of Shindig! 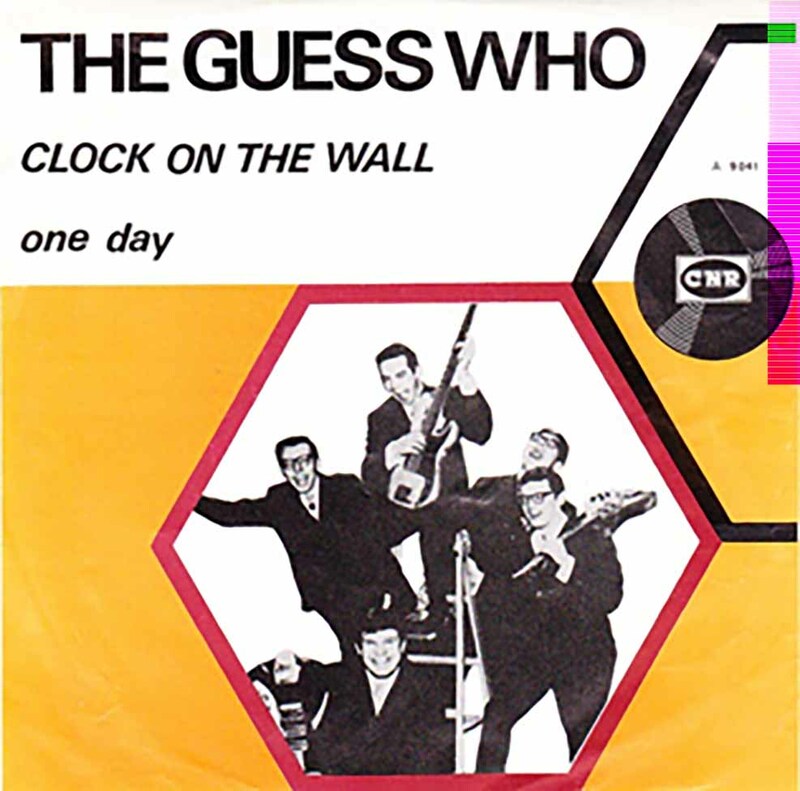 ‘Clock On The Wall’ surely belongs to the latter category, permeated by the Animals-like fierceness that would ultimately make the former Chad Allan & The Reflections (often mistaken for another English band) The Guess Who, the Canadian icons the world would soon get to know and love. Canadian garage was finally ready to clang loudly and find its own voice, and this is exactly where our trip starts. But let’s not forsake the British Invasion-influenced groups yet. The Sparrows were one of the first and most significant ones (complete with fake accents), their frontman Dave Marden having tellingly chosen the stage name Jack London. 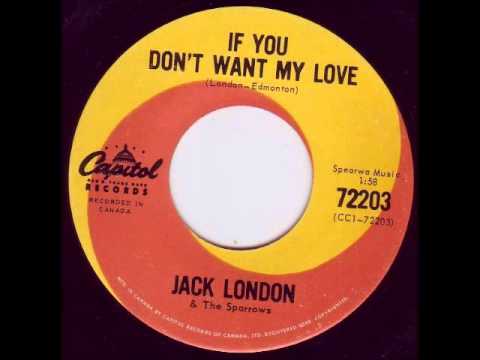 ‘If You Don’t Want My Love’ underscores the not-so-missing link between the more effervescent side of contemporary British rock and the roaring North American garage sounds. A year later the group would welcome new singer John Kay, change their name to The Sparrow and then again, after moving to California, to Steppenwolf. The rest, as they say, is history. Wild history. The Ugly Ducklings had also fluttered their eyelashes at the British shores (at The Rolling Stones, in particular). But then came ‘Nothin’’, a hit in native Canada, and after that ‘Just in Case You Wonder’, an explosion of fuzz delight that would be featured in one of the Pebbles anthologies almost two decades later. Now – forget about the tragic album cover that you will be seeing (it’s an ’80s compilation of garage songs from an overlooked band, after all) and tune in. Is this the finest moment in Canadian garage? Well, what’s sure is that it couldn’t get more garage than this; composer/singer Dave Bynghamtakes us in the most alienated and noisy room of the house: “I’m in the basement yonder, counting all the rats”! For the omnivorous ears: Merseybeat influences, garage force, psychedelic flirtations. And even – why not – a giant butterfly. 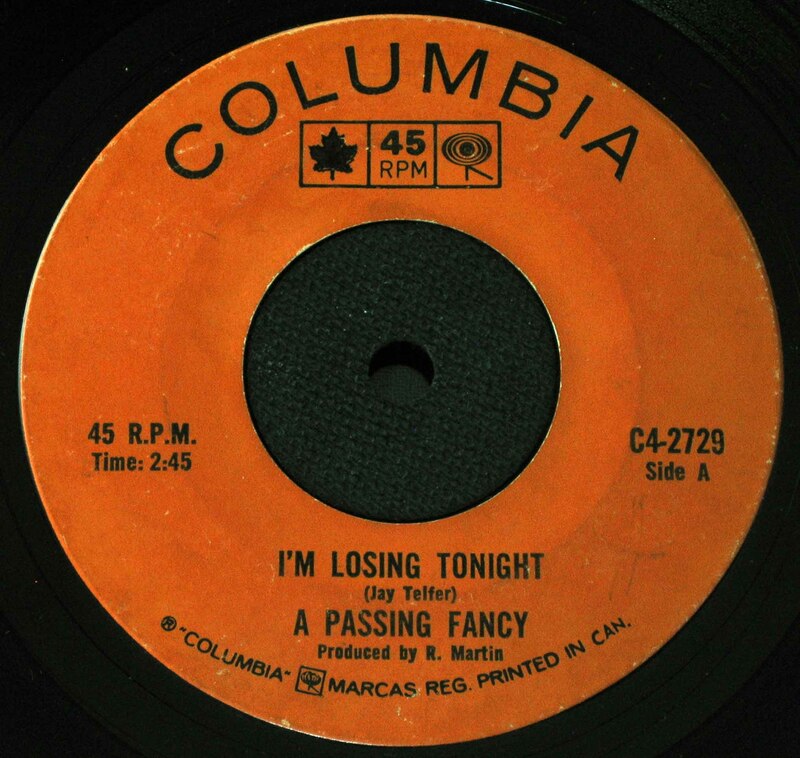 The 1968 self-titled A Passing Fancy album is something you won’t be able to resist, and it starts off with stompy rocker ‘I’m Losing Tonight’, a hit single for the Toronto band in ’67. 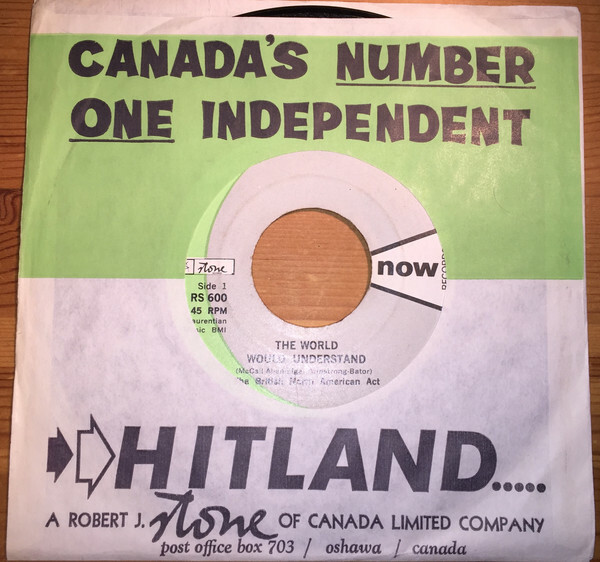 Another contender for the title of best Canadian garage gem – one that can even surpass its nationality and end up in your ever growing personal list of all-time favourite garage songs. 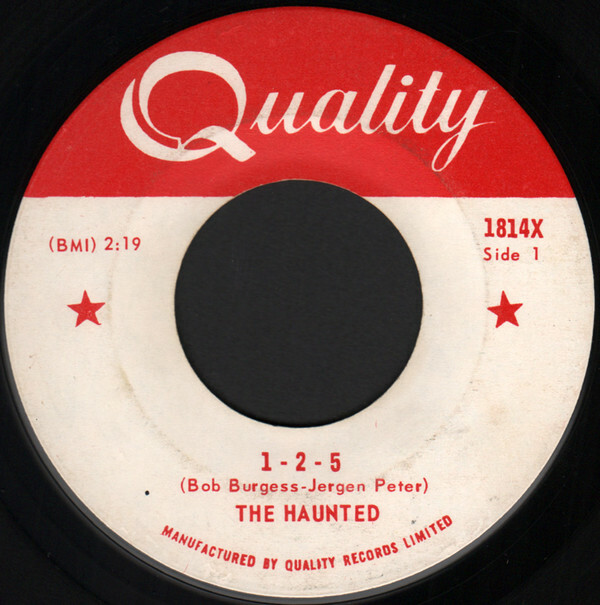 “I walked over to her, I said ‘What’s your name?’, ‘My name’s Mary Jane, I live down the lane’”, sings Bob Burgess while one of the most exhilarating harmonicas of ’60s rock winks loudly. You’re not still sitting, aren’t you? 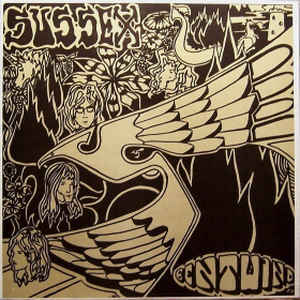 If you had to take a look at the history of Canadian rock and choose one forgotten psychedelic album, I would probably recommend the 1970 self-titled release by a Toronto band that featured former members of the band Underworld (a beloved name for the most knowledgeable garage fanatics). 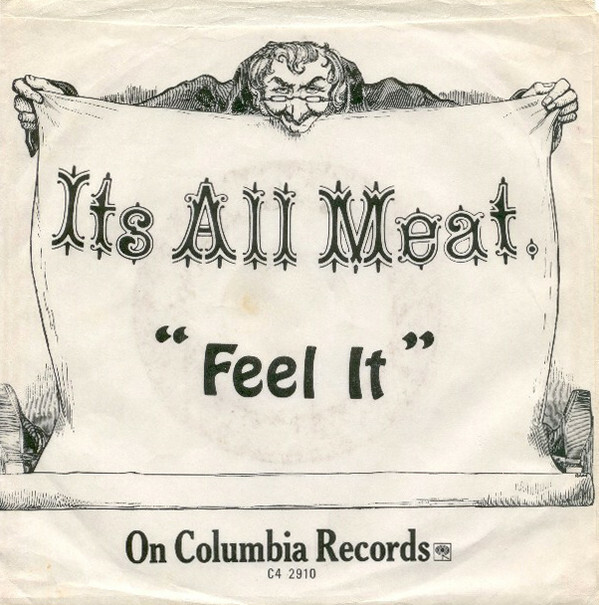 My recommendation is worth considering: I’m a vegetarian and I’m still championing a band called It’s All Meat. A questionable choice, right? But opener (better yet: appetiser) ‘Feel It’ is packed with enough fury to overcome any palate. Listening to ’20 Years’ could lead you to believe that someone, after reading the recent IPCC report (that would be: Intergovernmental Panel on Climate Change), just went into a studio and recorded an inspired, topical tune. 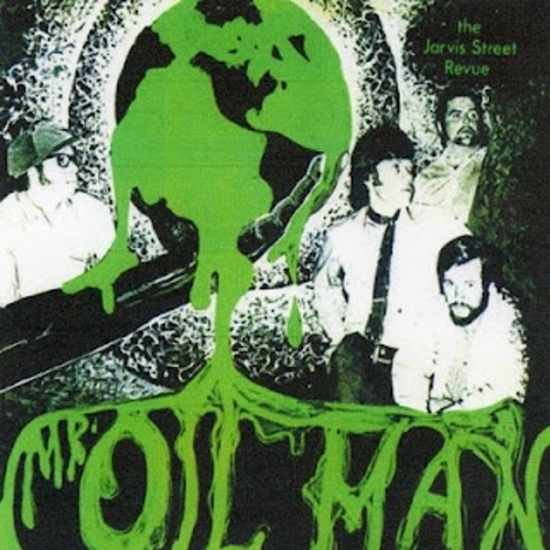 As a matter of fact, the song is 47 years old by now – part of a 47 years old album, Jarvis Street Revue’s visionary Mr. Oil Man, that stands truthful and relevant now more than ever. 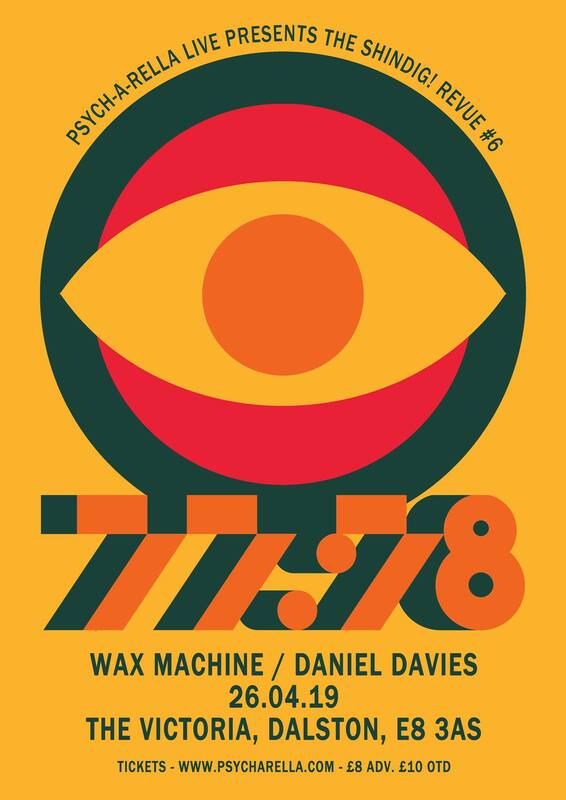 The record mixes psychedelic magnetism with an anti-establishment ethic that was denouncing polluting compulsions and corporate brutality before it became acceptable for pop music to do so. It probably felt more convenient for the world to forget about Jarvis Street Revue and pass over ’20 Years’ and its sister songs altogether. But it’s definitely time to make up for that and finally listen. 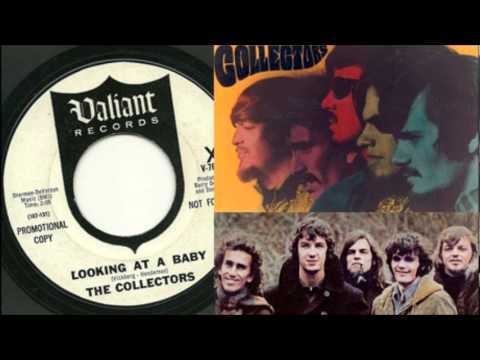 In the mid-60s this Canadian band, formerly known as The Classics, was invited to shiny LA for some studio time that resulted in the recording of trippy pop gem ‘Looking At A Baby’ and also resulted in their label, Valiant Records, announcing they were expected to change their name in The Collectors. Under the new name they would start to dive into more ambitious (if not pompous) albeit unsuccessful adventures, like the 1969 LP Grass And Wild Strawberries, the soundtrack of a stage play conjured with playwright George Rygathat run in Vancouver for three weeks (with the band playing live every night). But the freshness of ‘Looking at a Baby’, which had been a hit back home, could not be beaten. Singer Frankie Hart and lead guitarist Bill Hill meet in 1969; at the beginning of 1970 their new band, Freedom North, was busy recording its self-titled debut album – lead single ‘Doctor Tom’ being released in May. A year later the group was already splitting. 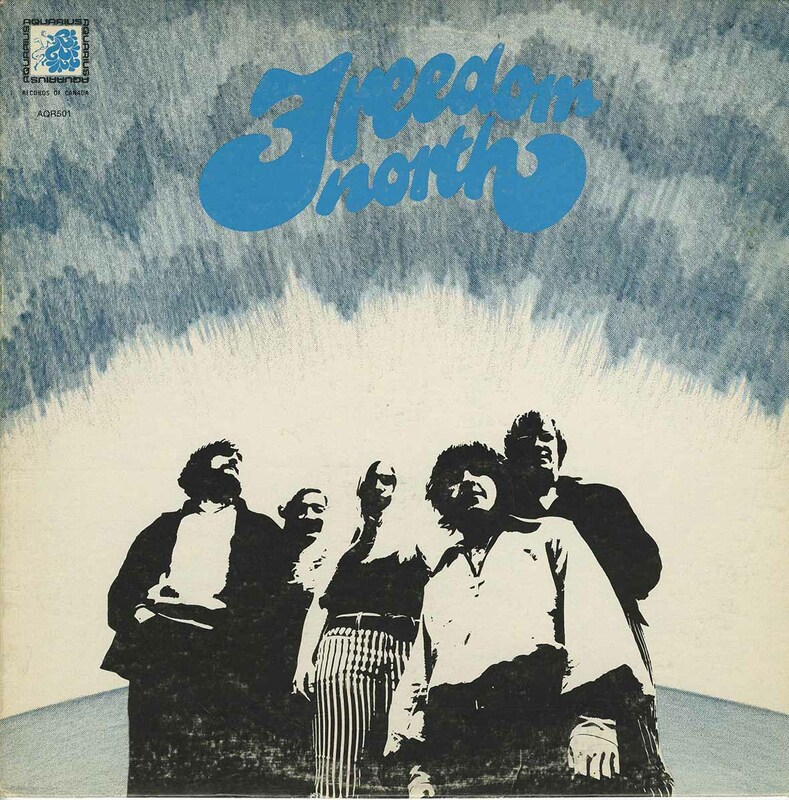 It was hello and goodbye in the blink of an eye, but Freedom North’s rare LP, as well as this groovy closing track, is definitely worth rediscovering, especially if you’re looking for a Vancouver themed love song that’s explicitly flirting with an inevitable (and always welcome) Californian sound. And now it’s time for our exploration of Canada in the psychedelic era to have a little soul. 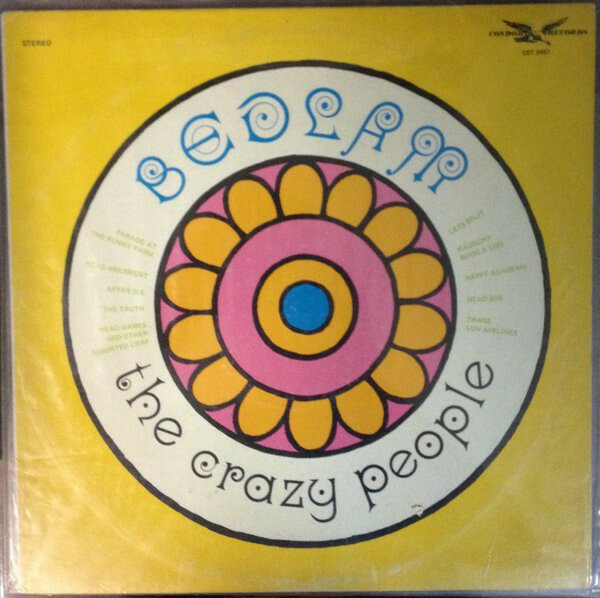 Led by Domenic Troiano (who would later play guitar in The Guess Who and the James Gang), the former Rogues decided to jump on the hippie bandwagon and change their name to Mandala following the advice of their manager, a former clown. 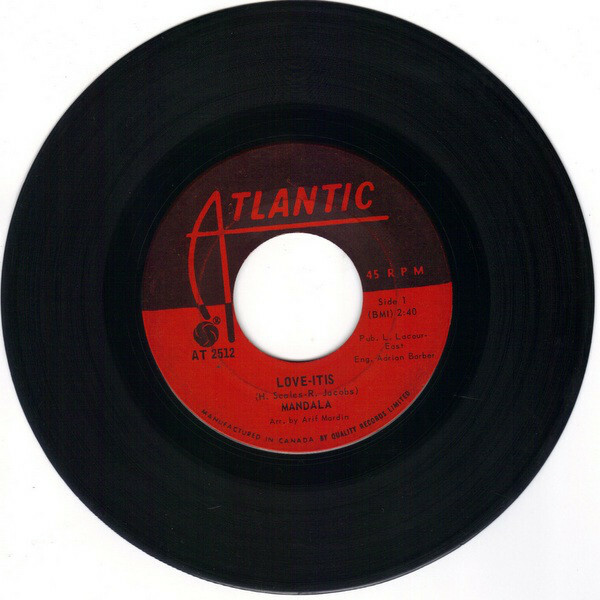 ‘Love-itis’ – the only track on the debut LP Soul Crusade not to be produced by Troiano – was briefly a success in the United States, too. Now sit down, play the song, and picture the Mandala guys playing it live – as legend says – in matching suits, under strobe lights. Started as a folk-rock band, The Plastic Cloud would follow the example of guiding stars The Byrds on their beautiful 1968 debut LP. There’s unquestionable inspiration from virtually every West Coast band throughout the record, spread over a most pleasant heterogeneity of tracks, but on ‘Shadows of Your Mind’ composer/singer Don Brewer keeps things charmingly fuzzy – finding a slightly darker tone for the Ontario quartet. Speaking of darker tones reverberating from Ontario… Please enjoy this six minutes long pensive trip completed with spiralling bird sounds. ‘Riverside’ is the second track on Bent Wind’s sought-after Sussex LP, named after the street where the band would practice at the time. It’s an interesting picture of its time, 1969: still full of psychedelic persuasion, resolutely reaching for its hard rock landing. Dressed like the Canadian answer to Paul Revere & the Raiders, The British North-American act formed in Montréal in the second half of the 1960s and proved to be true to its name – an homage to the act of 1867 that had created a federal dominion and established the core of Canada’s constitution – by featuring two Brits in its lineup. ‘The World Would Understand’ was released as a single in 1969 and also as part of the lovely LP of the same year In the Beginning…Unfortunately, that collection of folk-rock tunes tinged with tasteful psychedelia would also prove to be the end of the road for the group. 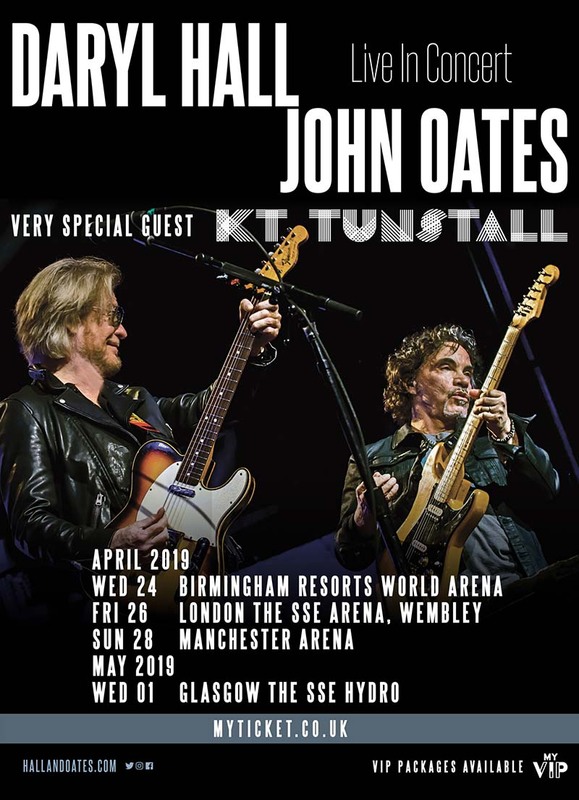 Perhaps their songs were too gentle, too innocent even, for restless ’69; nevertheless, ‘The World Would Understand’, with its ‘We Can Be Together’-like initial riff and tales of a fantastic past, finds its charm unchanged almost 50 years later. 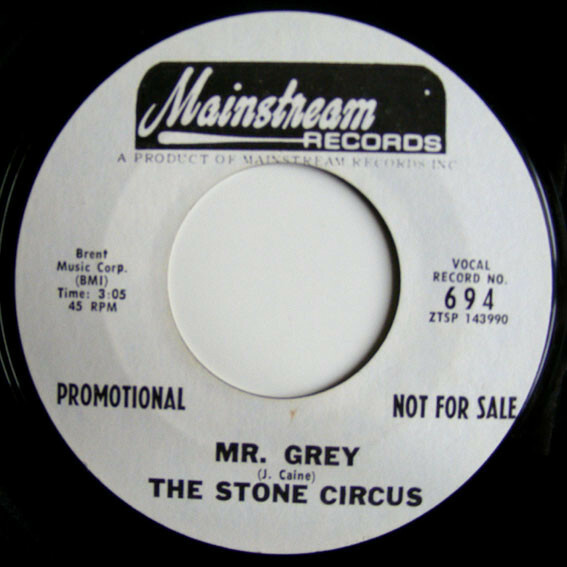 Funky Farm, a Canadian quintet that had relocated to New York at the end of the 60s, only lasted for about a year; when their only LP was released, the group members found out that Mainstream Records had decided to give them a new name, Stone Circus, much to their surprise. 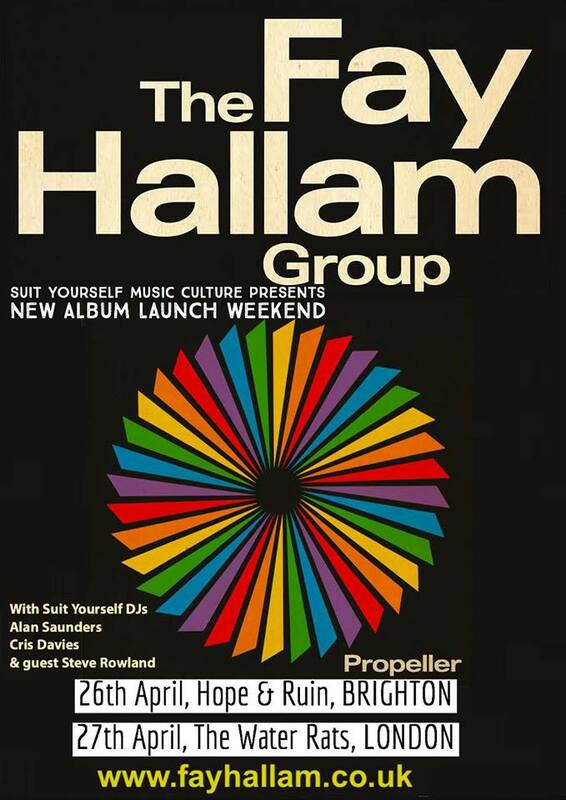 Goes without saying – the label didn’t commit to promoting the album or the band: quite a pity, considering the record’s ambitious potential, epitomised by cult single ‘Mr. Grey’. 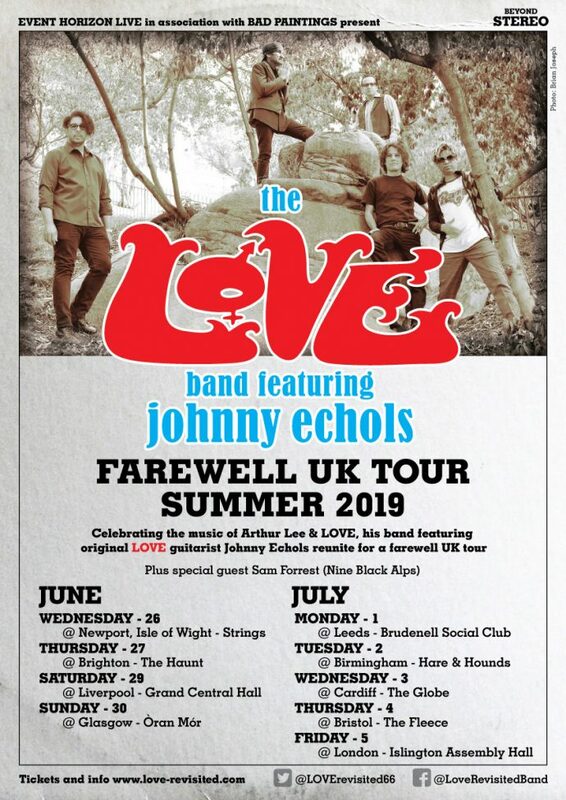 Leader’s Jonathan Caine(nee Larry Cohen) experimental take on trippy rock is at its best on this track that almost feels proggy at times (but delicately enough for us prog detractors to still sing along). In which a pop group takes a bad trip. 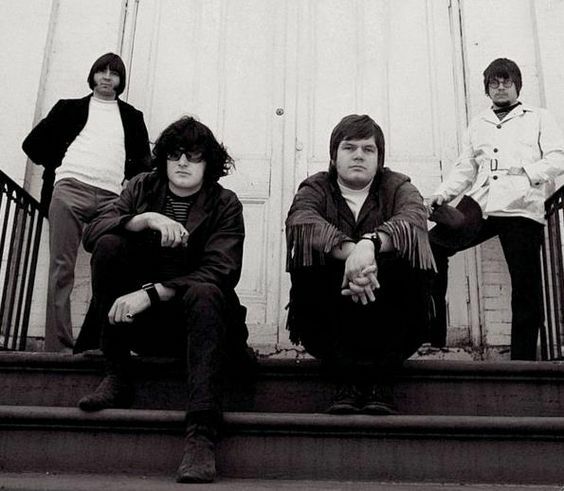 The Poppy Family, a band comprised of then married couple Susan Pesklevitsand Terry Jacks, took its name from the dictionary, in the best tradition of pop and rock. The combination of words was mysterious enough, familiar enough and, above all, flower-power-friendly enough to encapsulate their amalgam of Carpenters-like gentleness and unexpected weirdness. 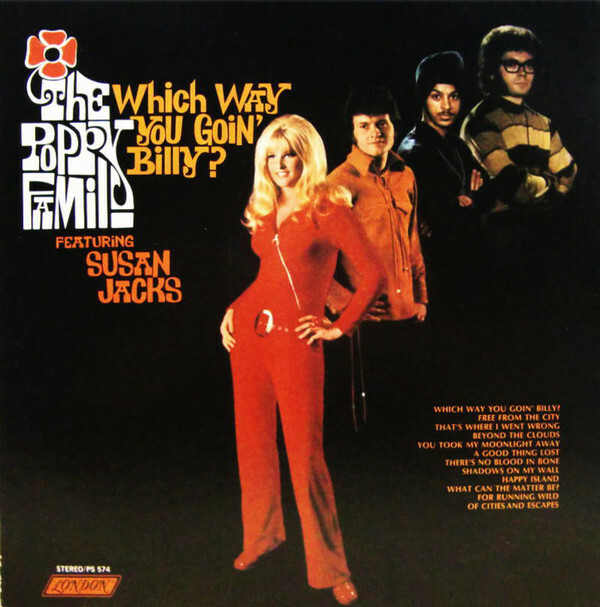 ‘There’s No Blood In Bone’ – last track on the first side of their 1969 LP Which Way You Goin’ Billy? 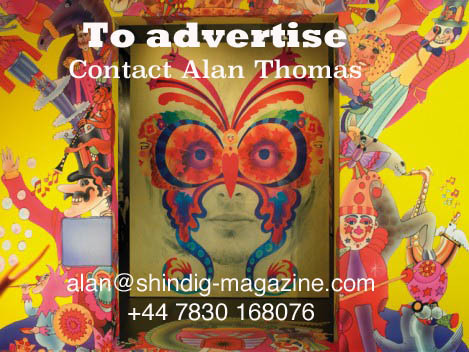 – sees the Jacks delve into the darker and most eerily beguiling side of psychedelia. A gloomy gem that wouldn’t be out of place in a cult early ‘70s soundtrack. And then it’s time for the pristine freakout. Masters of weirdness The Crazy People are shrouded in mystery – and mystery can’t help but make their 1968 album Bedlammore and more fascinating. As for album opener and quintessence ‘Parade at the Funny Farm’…think Zappa, without the self-consciousness and the hippie disdain, via The Bonzo Dog Band. Then stop thinking and get crazy. 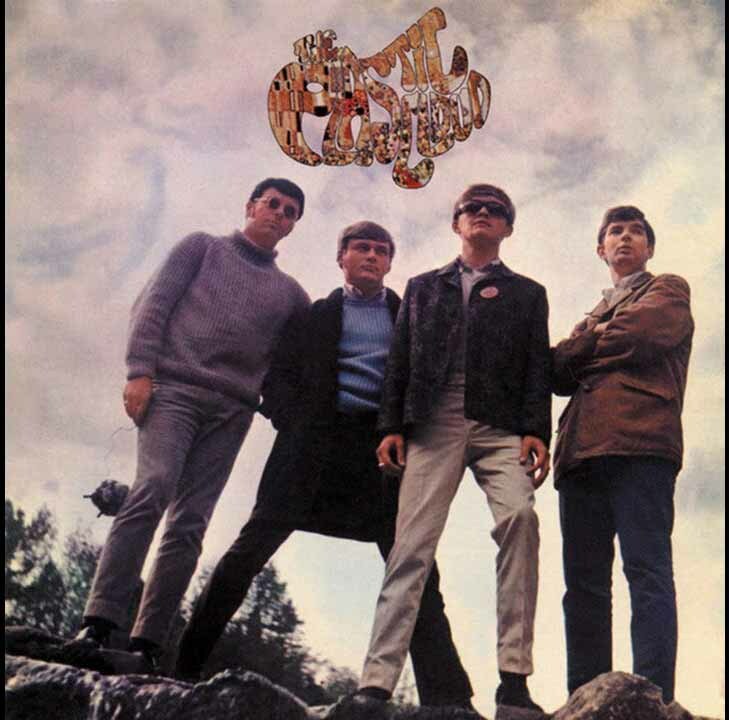 The story is that of many other North American teenage bands: first the garage, looking at nearby instrumental heroes, then the British Invasion infatuation, then the Dylan one. 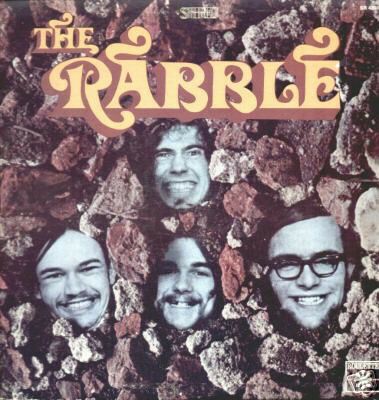 In the mid 1960s The Rabble wrote a pop hit, ‘Golden Girl’; but, after playing the Queen’s Park Love-In in Toronto, in 1968 The Rabble Album looked a little further and finally embraced the psychedelic call. ‘Rising of the Sun’, in particular, wears its post-Summer of Love heart on its sleeve – an atmospheric buildup that starts off as a mellow, Eastern-influenced revelation and ends with a haunting burst. Psychedelia meets folk with the blessing of West Coast harmonies. The Folklords were Martha Johnson, Tom Martin and Paul Seip, and that’s pretty much all there is to know about them. They recorded one delightful LP in 1968, aptly named Release the Sunshine, and one of its tracks, the bewitching ‘Forty Second River’, was unsuccessfully released as a single in the same year. If you’re keeping a list of sweet obscure records to rediscover, you should definitely include the Folklords. 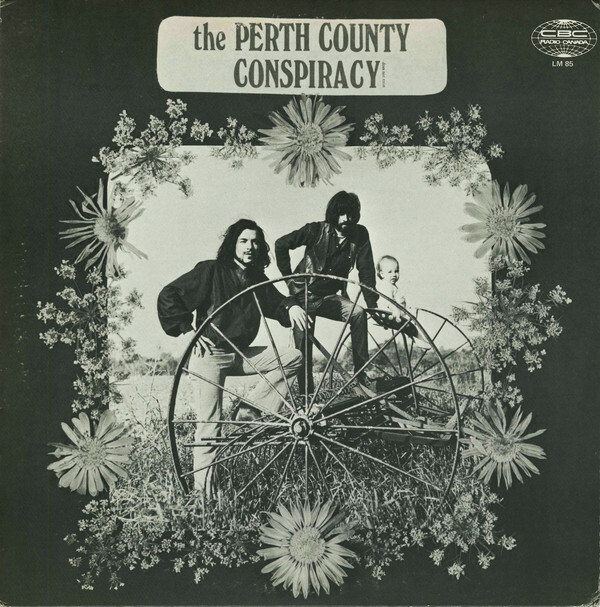 Founded by Cedric Smith and former Spike Driver Richard Keelan, Perth County Conspiracy recorded its self-titled sophomore album in just two days in the Summer of 1970. 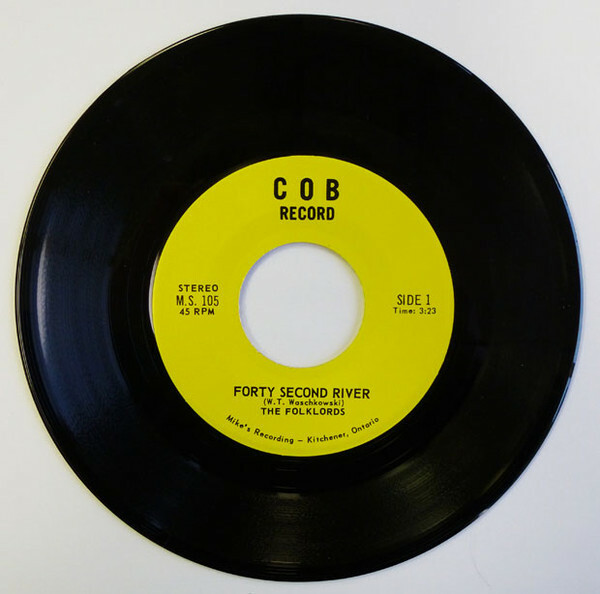 A vibey folk delight, the record was pressed in low quantities and released for radio play only. Fortunately, the long-awaited reissue has finally come in 2018. ‘So Many Things’, one of the highlights of the LP, seems to predate the Shawn Phillips-Jimmie Spheeris axis of bewitching singer-songwriter folk. Spacey folk gone obscure, as obscure as it gets. 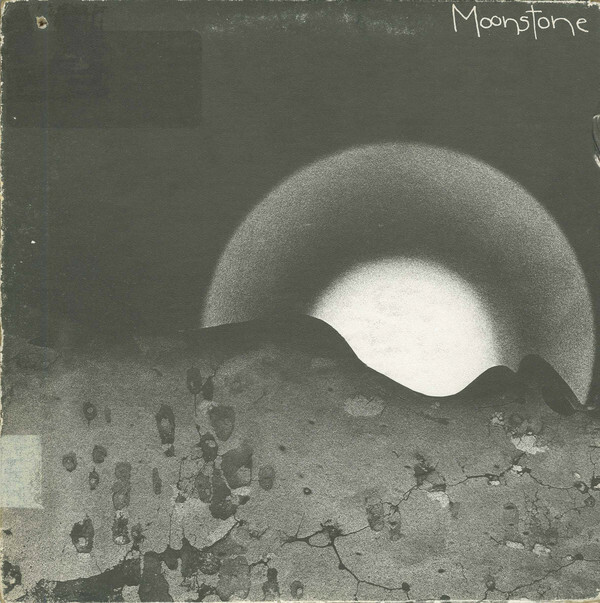 Moonstone were an enigmatic psych folk band that released a self-titled unnoticed treasure in 1973. Some people claim they came from Québec, others state they were from the Manitoba province. There are even people who say they were actually Americans, hailing from Alaska, who just ended up signing to a Canadian label (Kot’ai). Whatever the true origin, all uncertainties just add to the mystique. And Moonstonetruly is an album made of bewitching mystique, as ‘Black Blind Light’, one of its very best moments, proves. Legend says Allan Fraser heard Daisy DeBolt at a folk festival in 1968 – he didn’t even introduce himself, he just went up to her and simply said “I like your voice”. Now: customary biographical tropes would want me to add that, you know, “the rest is history”. But history tends to forget about the Fraser & Debolts of this world, and so I might have to rephrase the whole thing. The rest is a folk fanatic’s paradise. 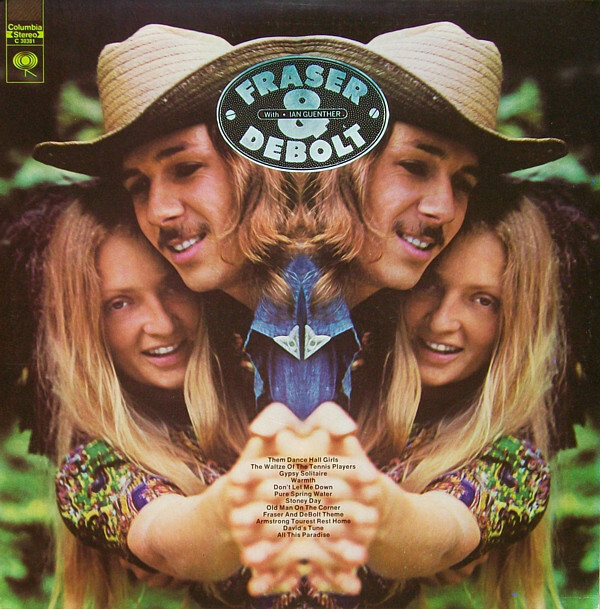 The 1971 LP Fraser & DeBolt with Ian Guentheris now a cult favourite, an unmissable gem, and ‘Waltz of the Tennis Players’ keeps sounding like one of those intimate, heartwarming understated classics that any self-respecting indie movie would try to include in its soundtrack, preferably over end credits. Late ‘60s: Canada was about to conquer the world via the greatest music poets the world would ever see. Two of them, Joni Mitchell and Neil Young, had met fellow songwriter Elyse Weinberg while performing in Toronto clubs. 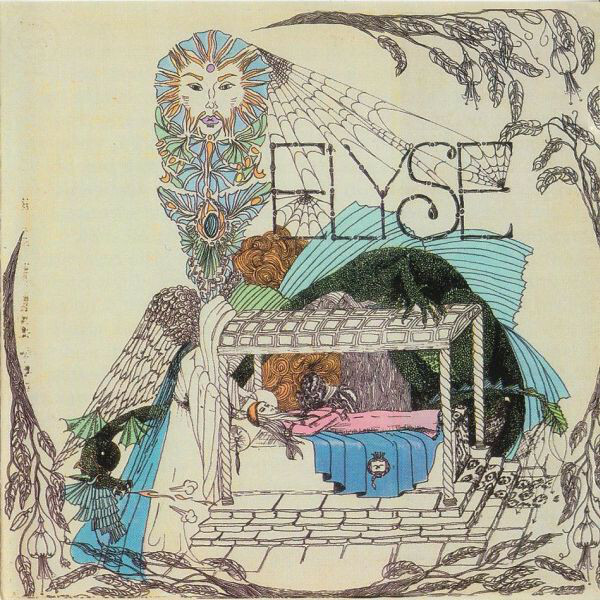 Young would even contribute to Elyse’s 1968 self-titled lost classic – he played guitar on the superb ‘Houses’. Again, it’s one of those songs you probably didn’t hear because, you know, life keeps being unfair; but when you do hear it, even for the first time, you feel like you’ve always known it, always spent hours singing along to it. “Lost classic”, I just said for the album – even more so for the song: it never was a classic, yet it still managed to become one, to sound like one. Just take a look at some of its covers: the Vetiver one, chosen as album opener for the band’s Thing Of The Past; the B-side to Dinosaur Jr.’s 2009 single ‘Pieces’; or the charming Courtney Barnett homage that has come out just a few months ago. As it happens with classics, the story of ‘Houses’ has just begun. The final song in our rediscovery of Canadian gems needs no further introduction but that of his composer, Randy Bachman, who tells Sean Egan in the new issue of Shindig! 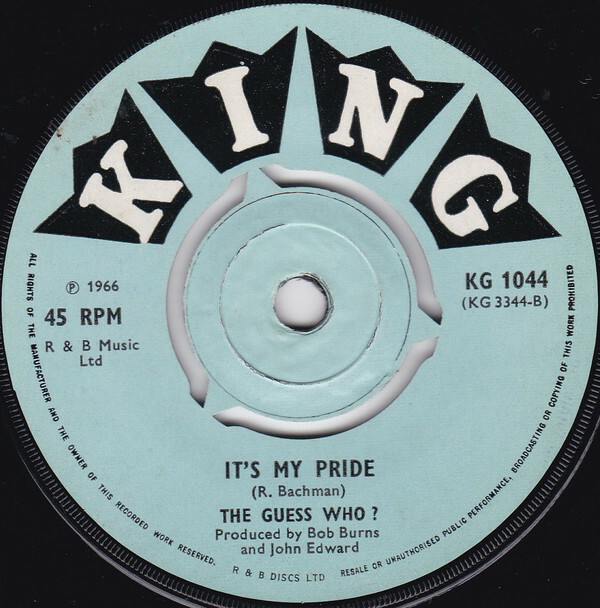 : “That’s one of my best songs” – adding that ‘It’s My Pride’ makes use of one of the first ever fuzz tones. As simple as that. It is, after all, a rousing 1966 garage rocker. And if there is one thing that garage rock has taught us, that’s a certain passionate simplicity: don’t overthink, get up and start shakin’ all over. Read our Guess Who feature in issue #84. Order here.